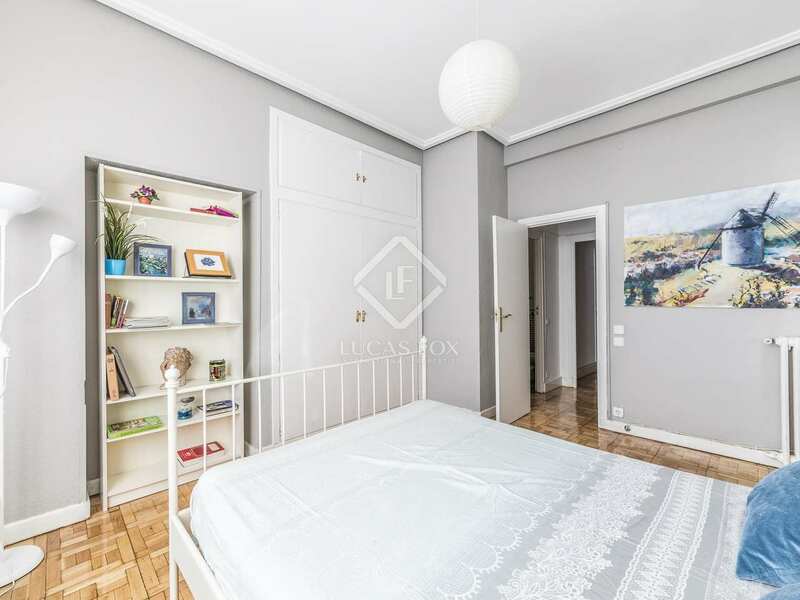 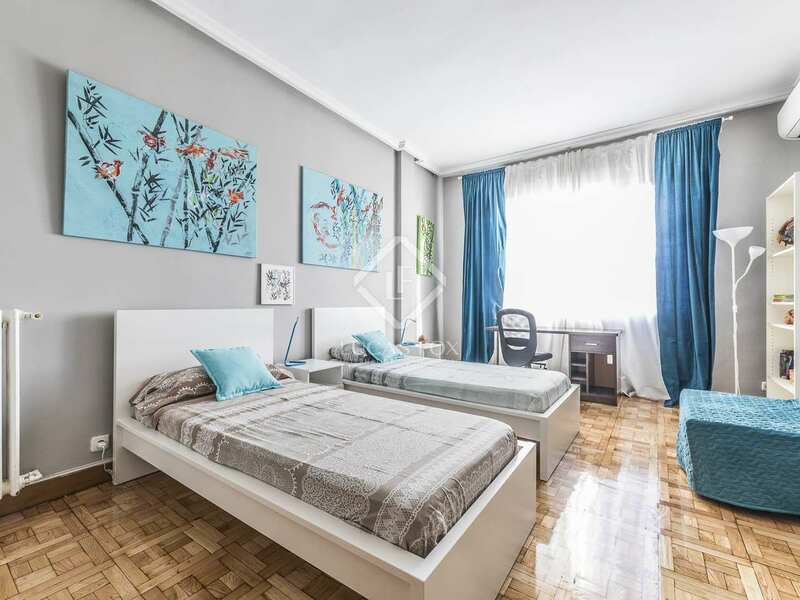 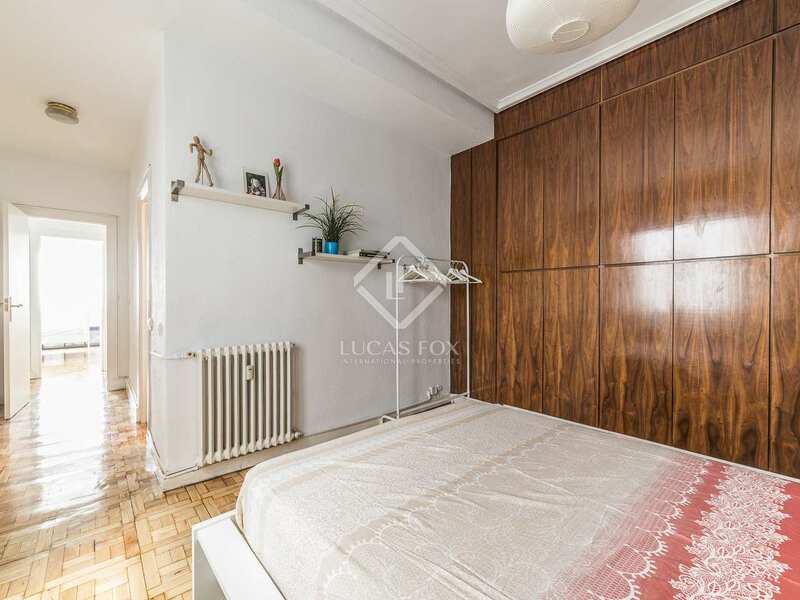 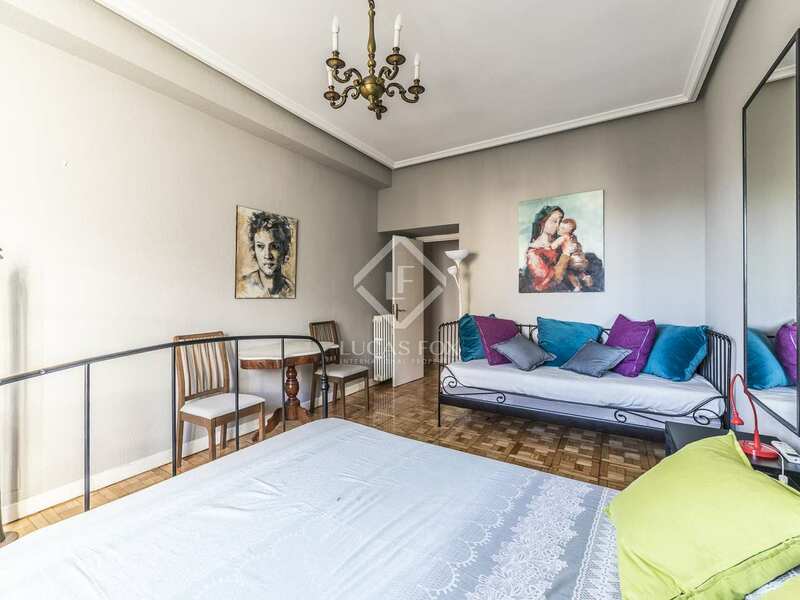 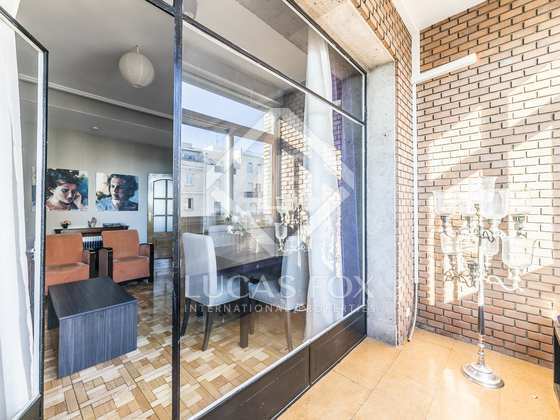 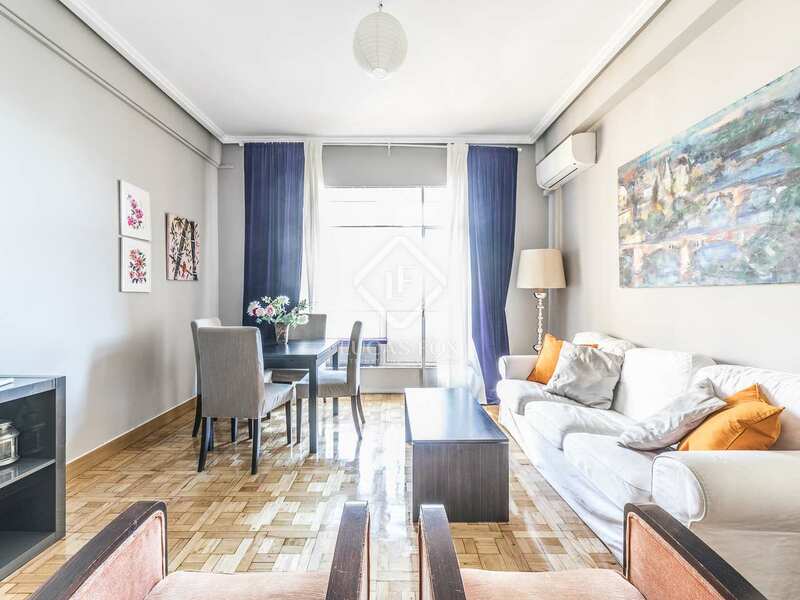 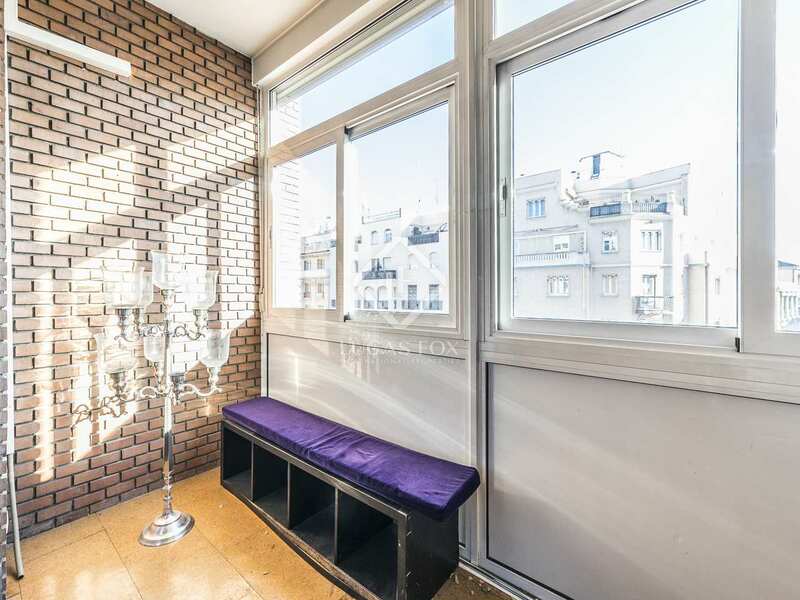 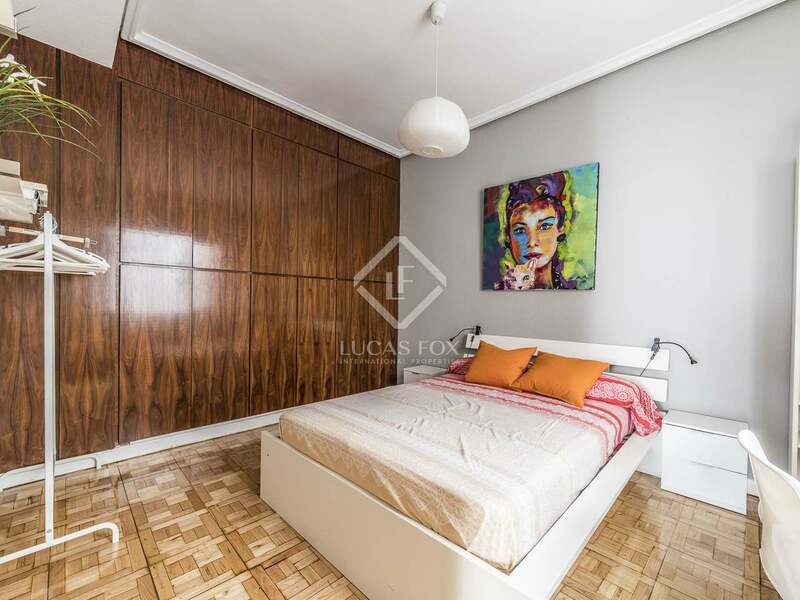 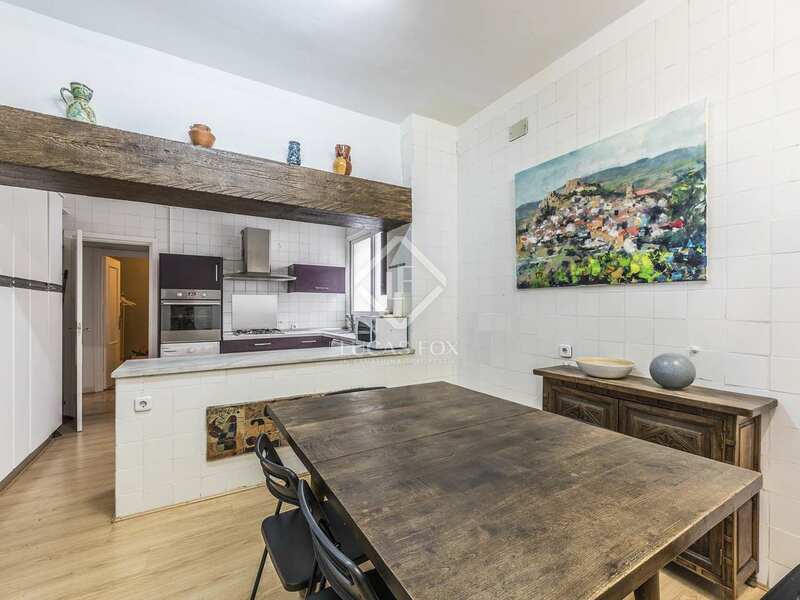 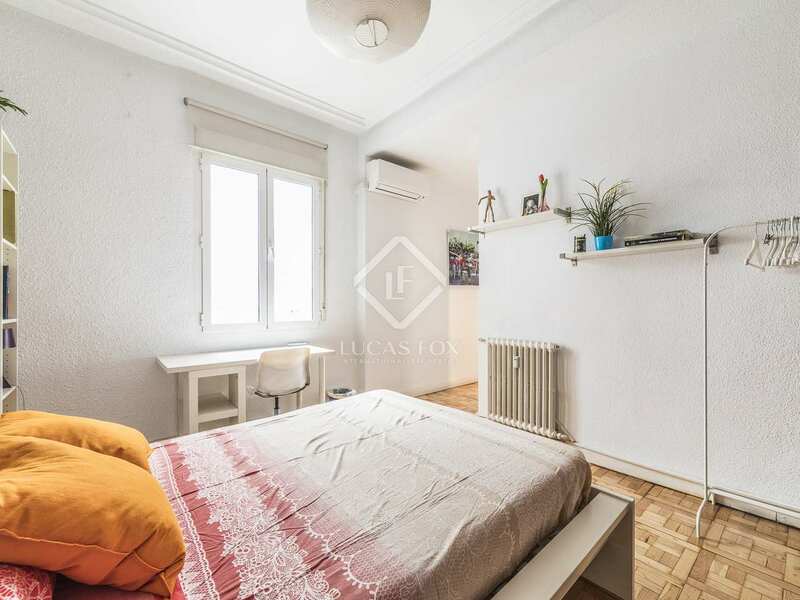 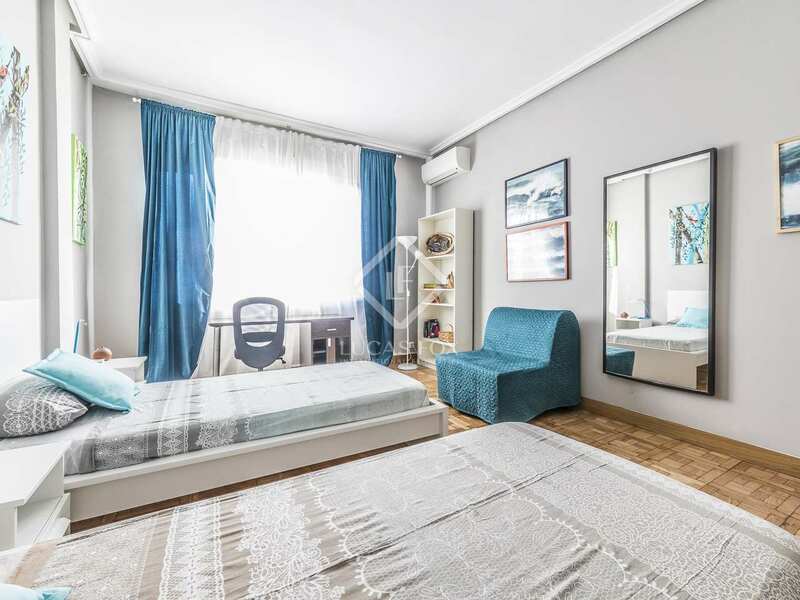 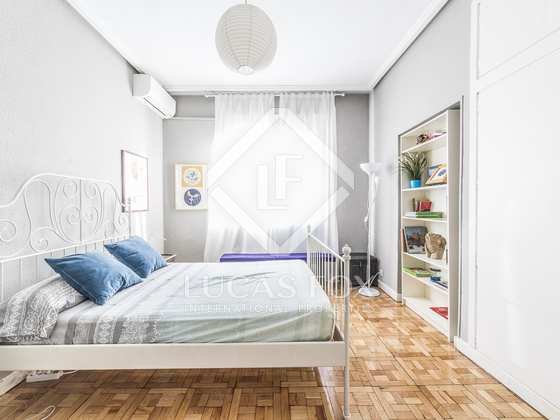 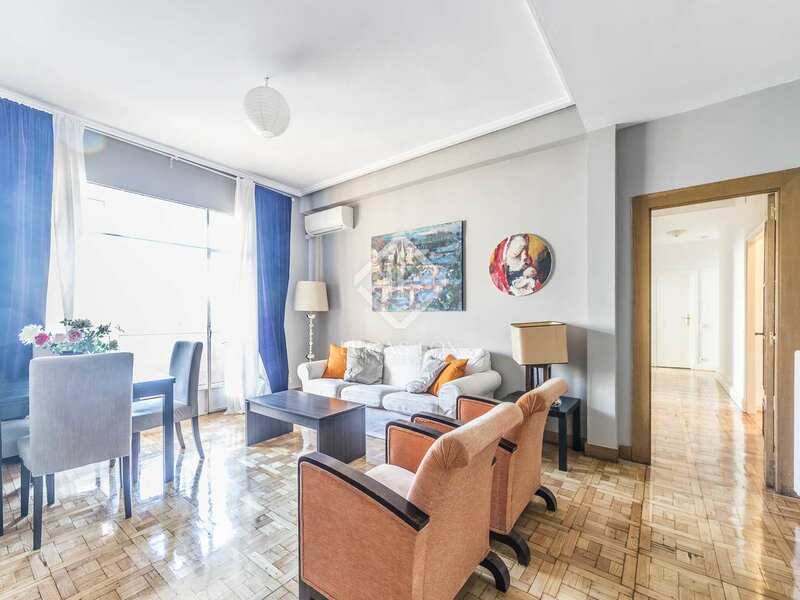 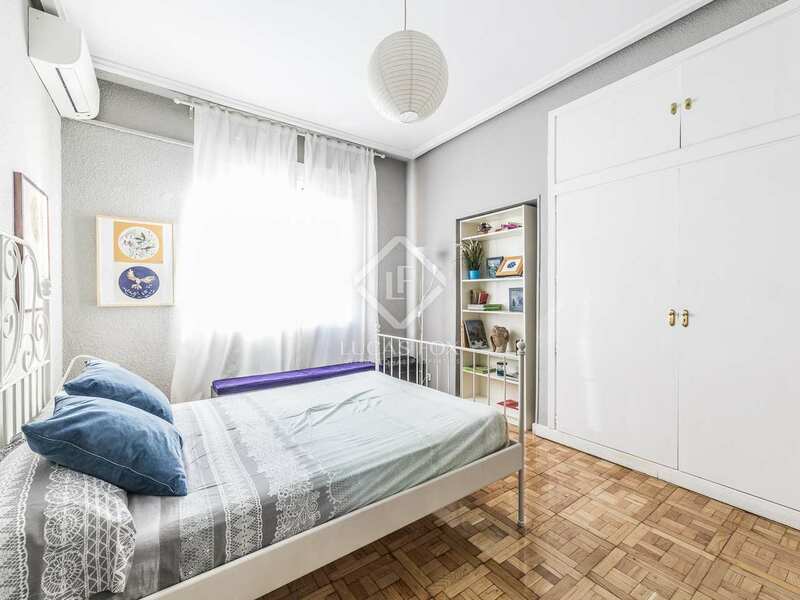 This fantastic, spacious and bright apartment is located on the border between the neighbourhoods Almagro and Trafalgar. 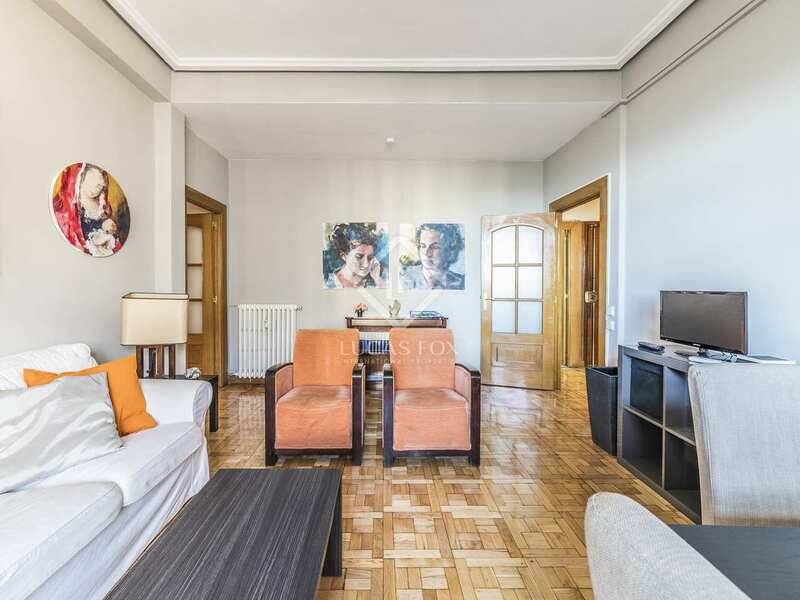 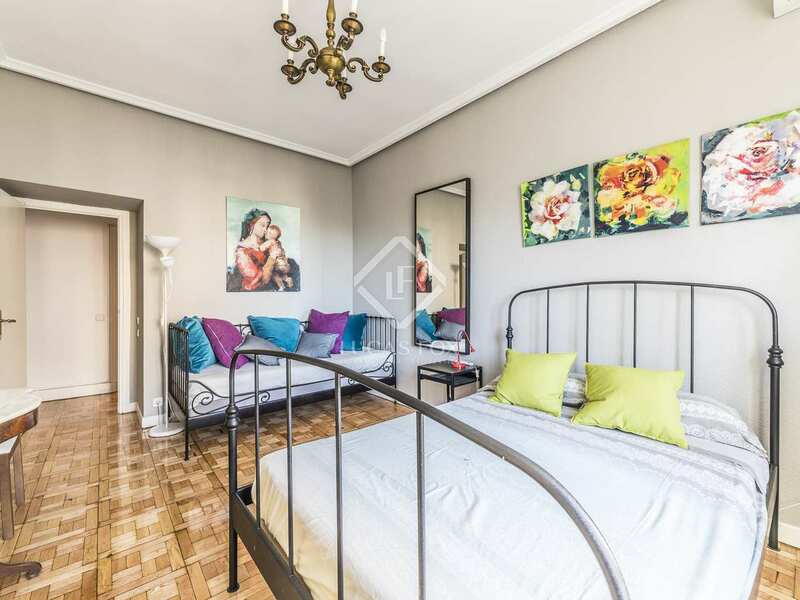 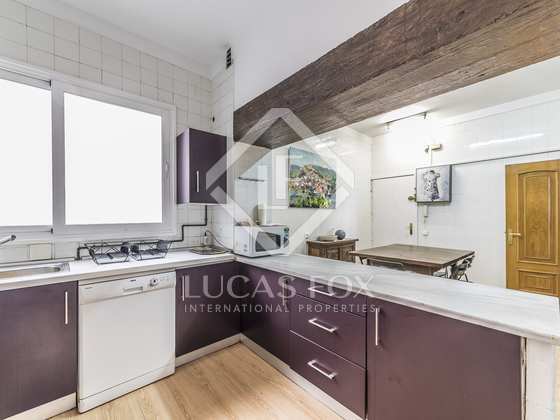 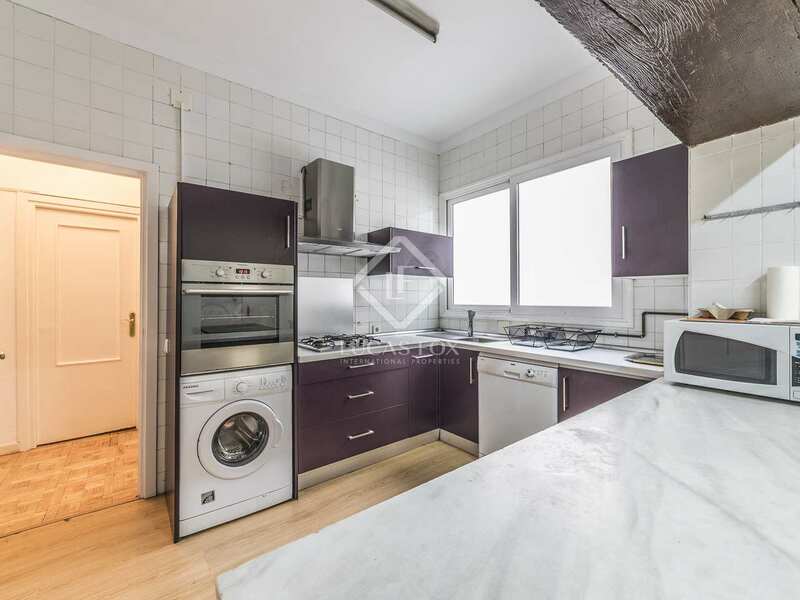 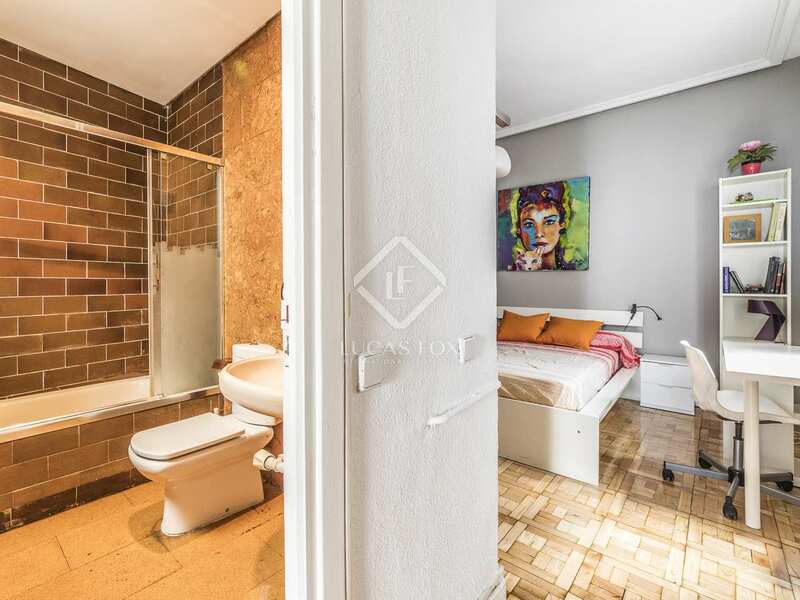 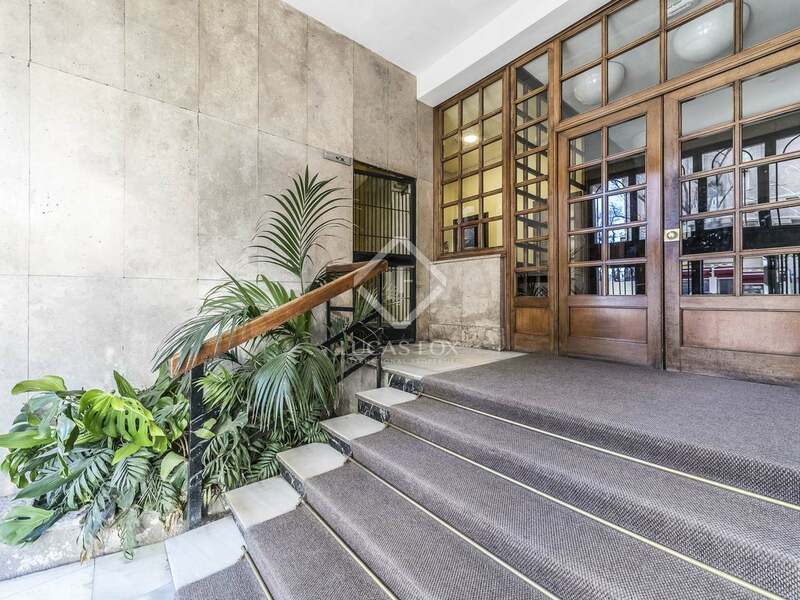 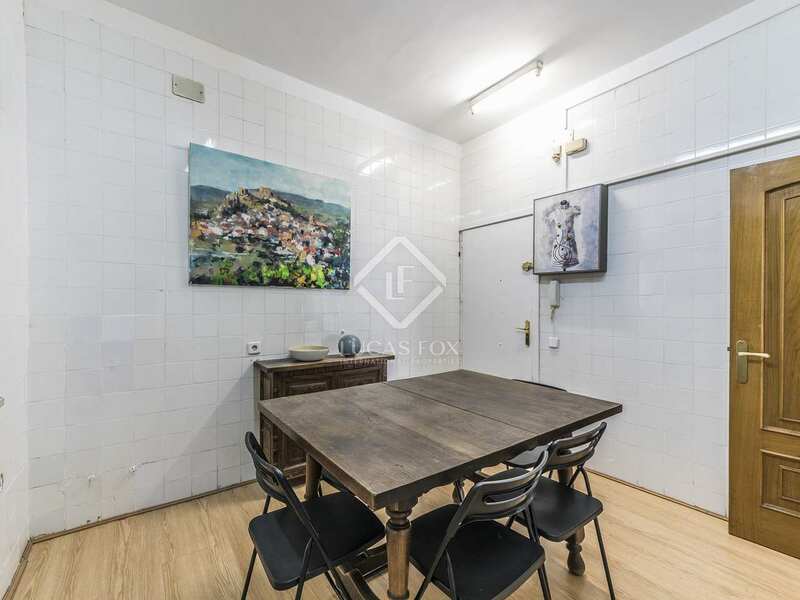 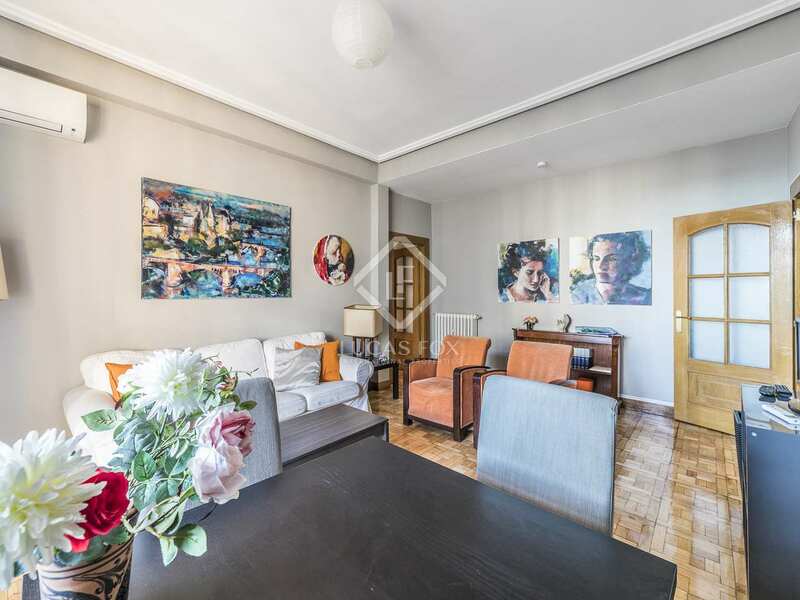 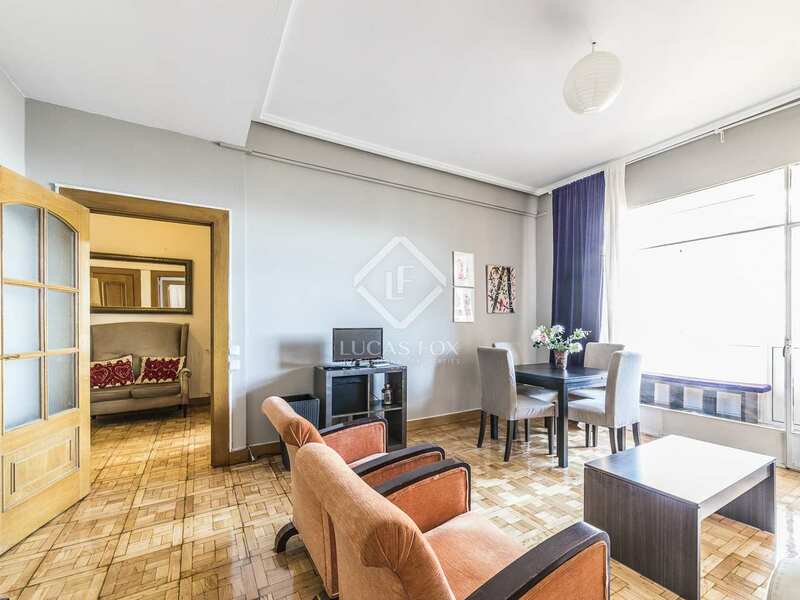 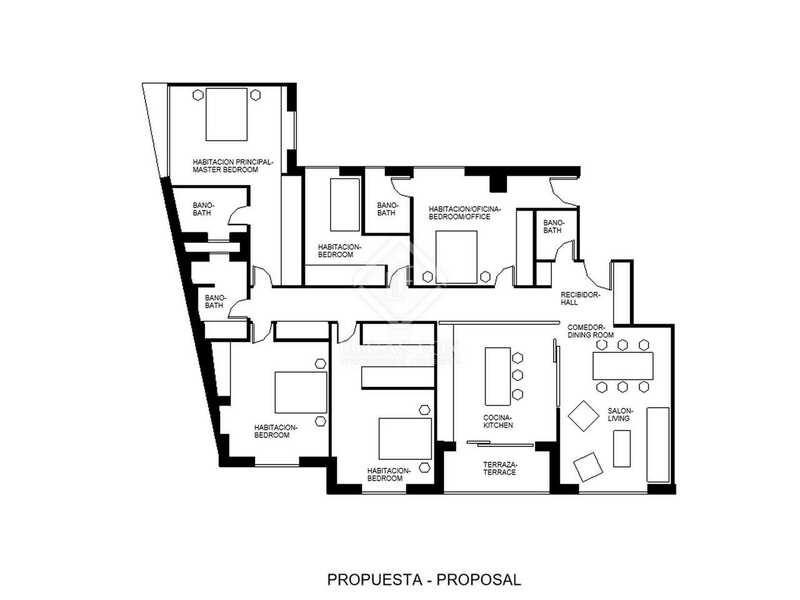 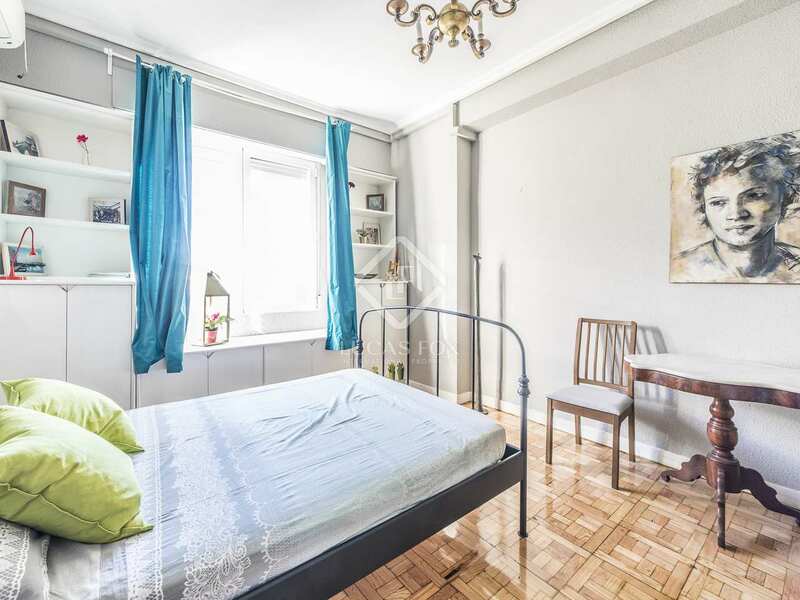 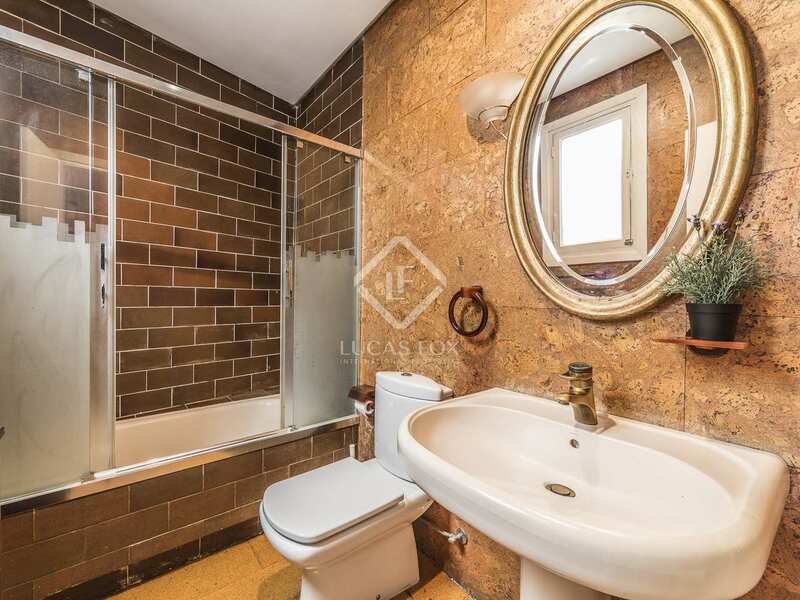 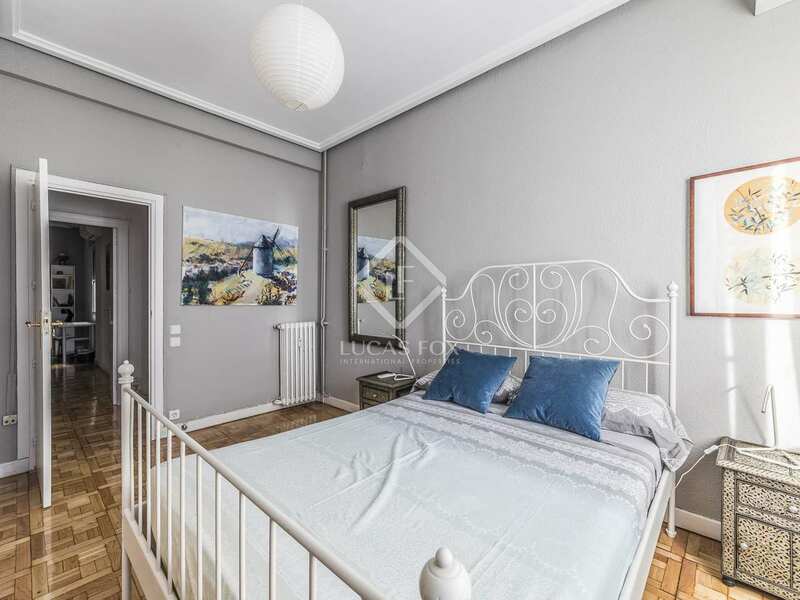 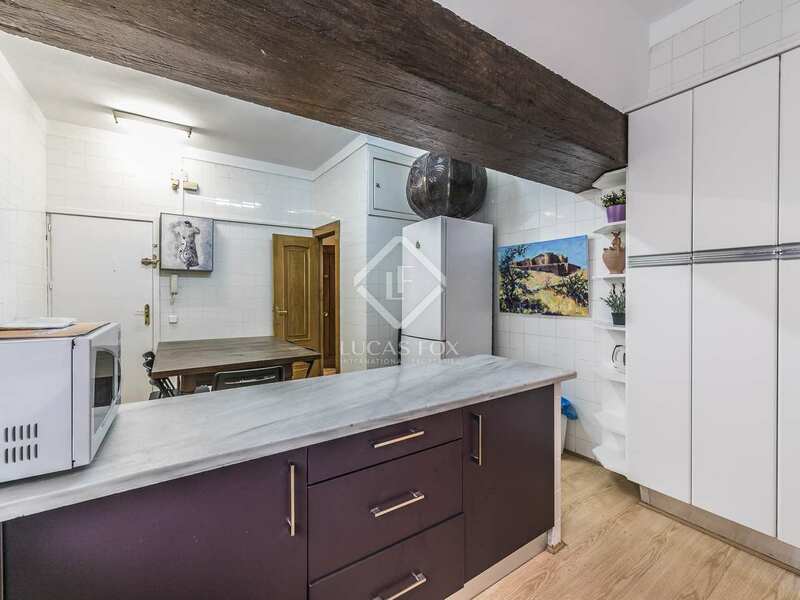 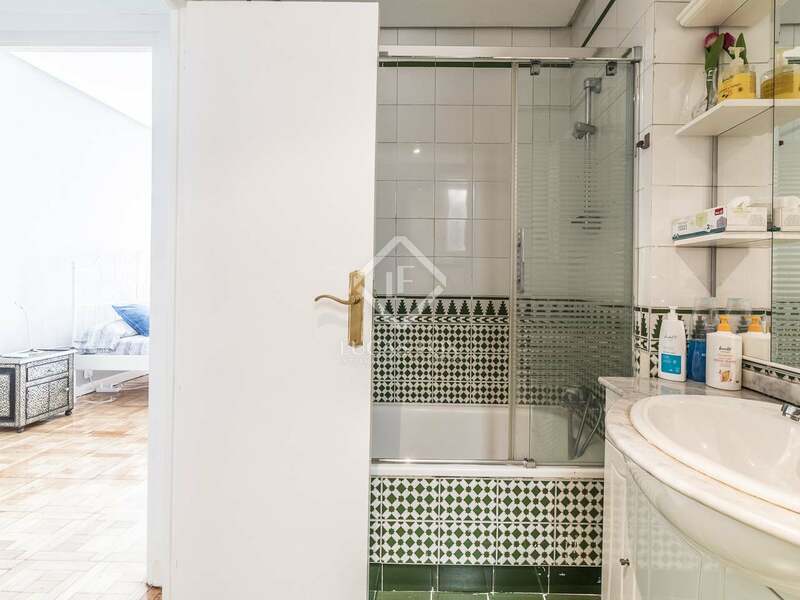 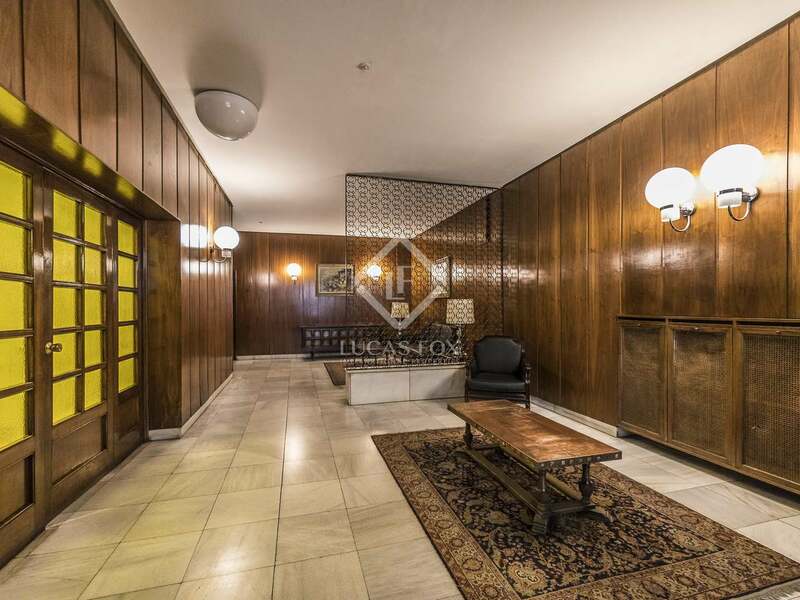 It is in need of renovation and has great potential thanks to its spacious rooms with high ceilings; the perfect property to create your ideal home but also an interesting investment opportunity given that it has a tourist licence granted by the Community of Madrid. 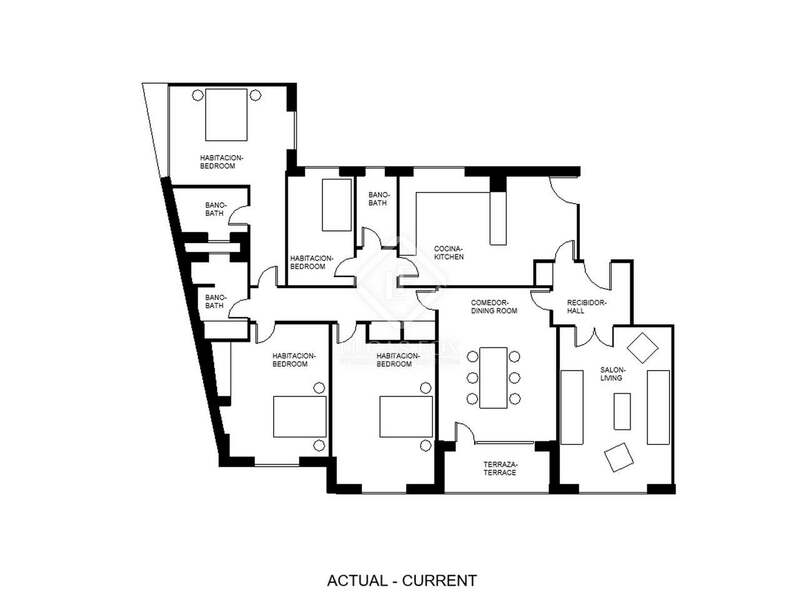 The apartment is in a building with a concierge service and 3 lifts. 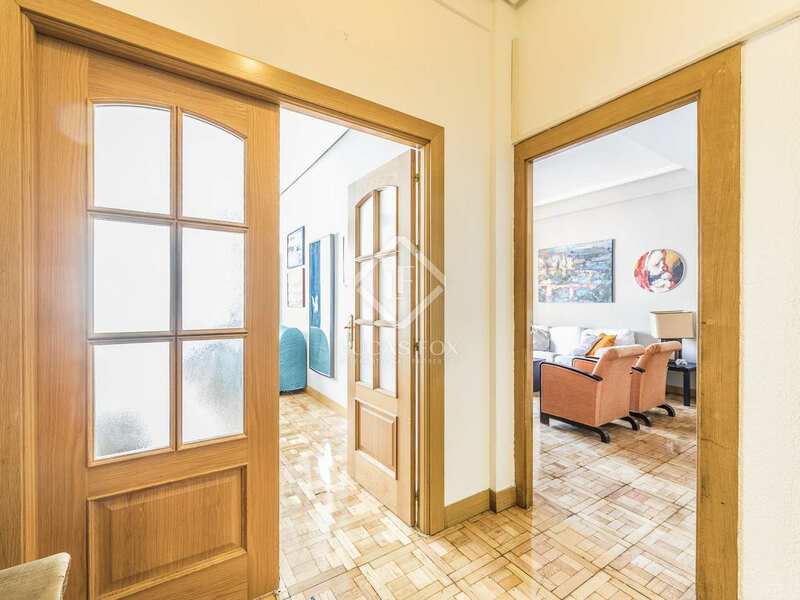 We enter the property through a hallway that leads to the living room, a room brimming with natural light and with access to a 6 m² closed balcony that overlooks the street and offers beautiful views across the neighborhood. 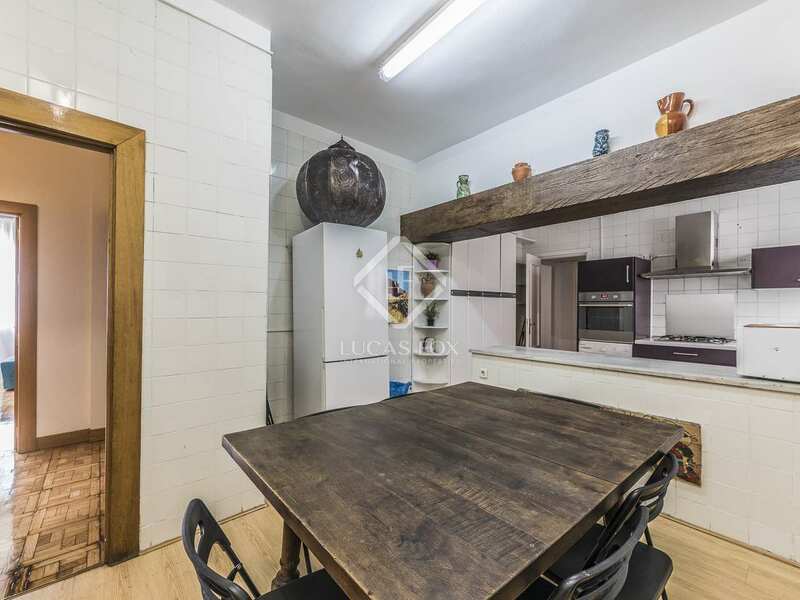 The comfortable kitchen-diner, with plenty of space for a family dining table, is also found in this area of the apartment. 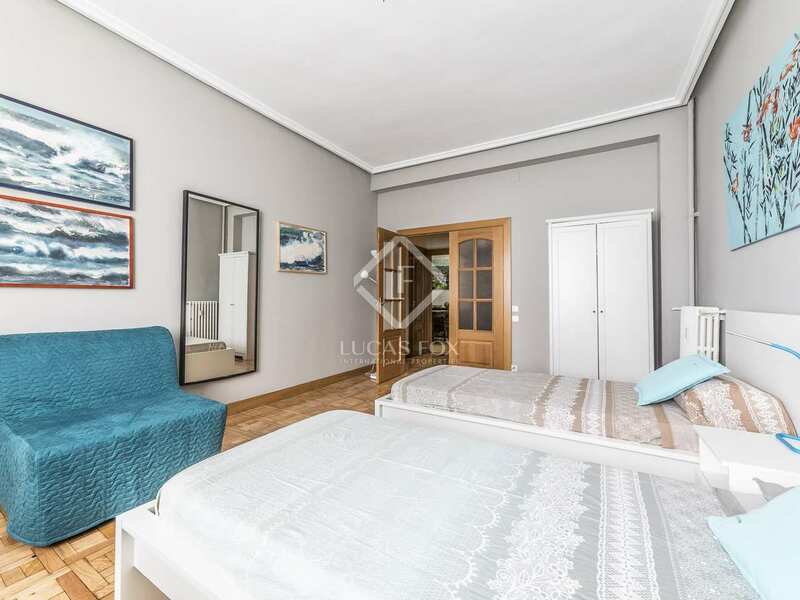 There are a total of 5, very large, bedrooms: the vast master bedroom with en-suite bathroom, 3 double, exterior facing bedrooms and the service bedroom. 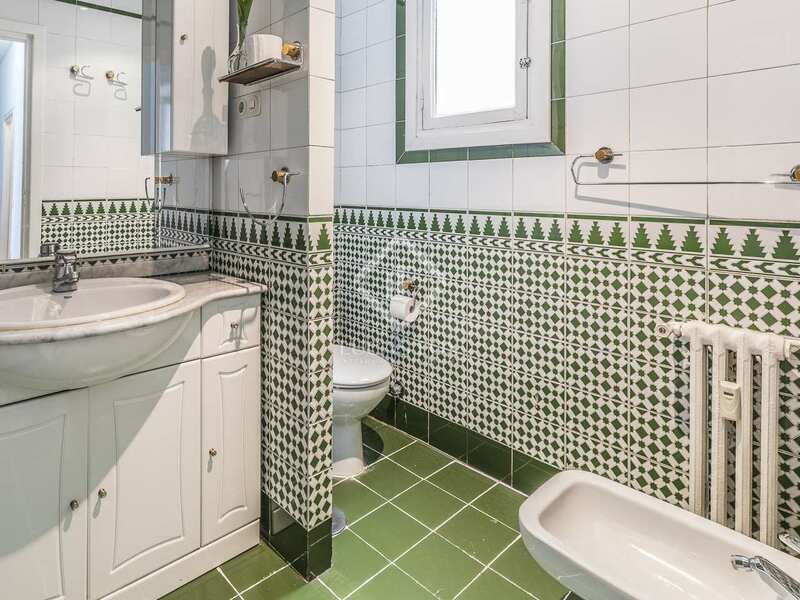 Two bathrooms complete the property. 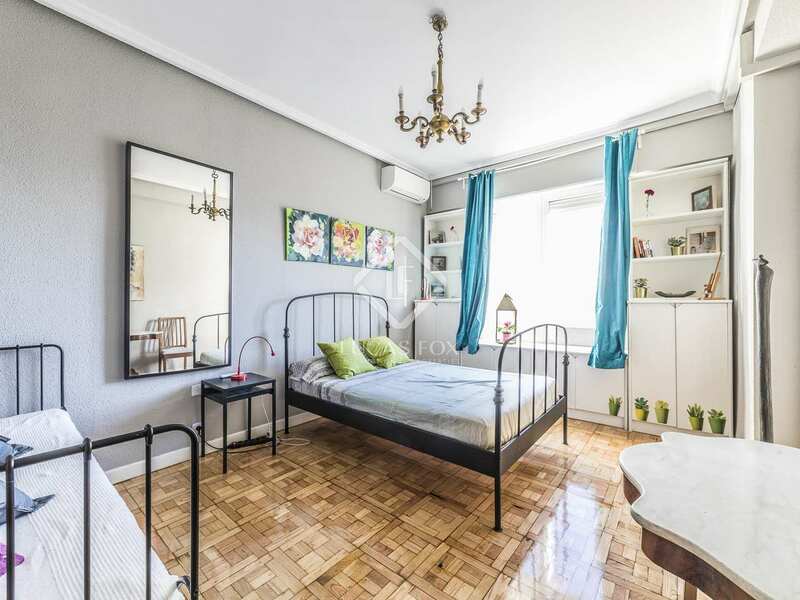 There is wooden flooring and the apartment is equipped with central heating and air conditioning with heat pumps in each bedroom to ensure your comfort throughout the year. 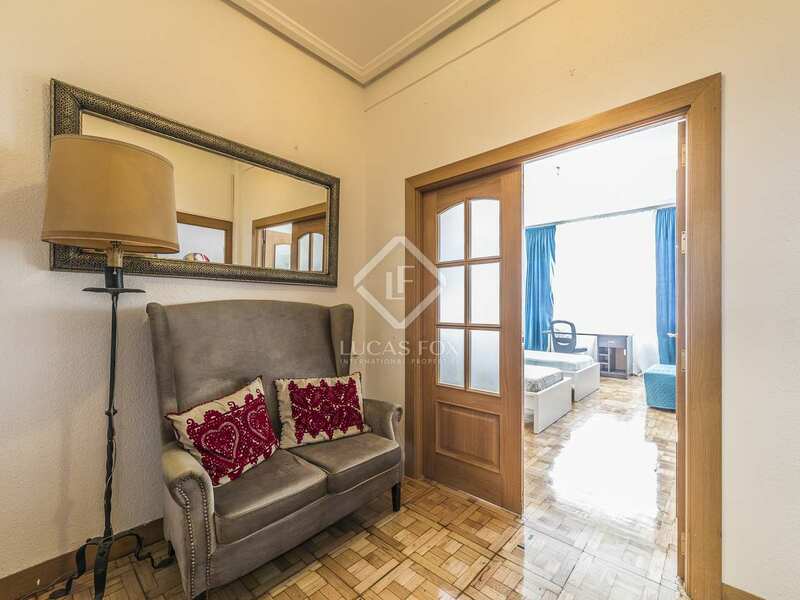 Contact us for more information about this apartment with great renovation potential and a tourist licence, for sale in Trafalgar. 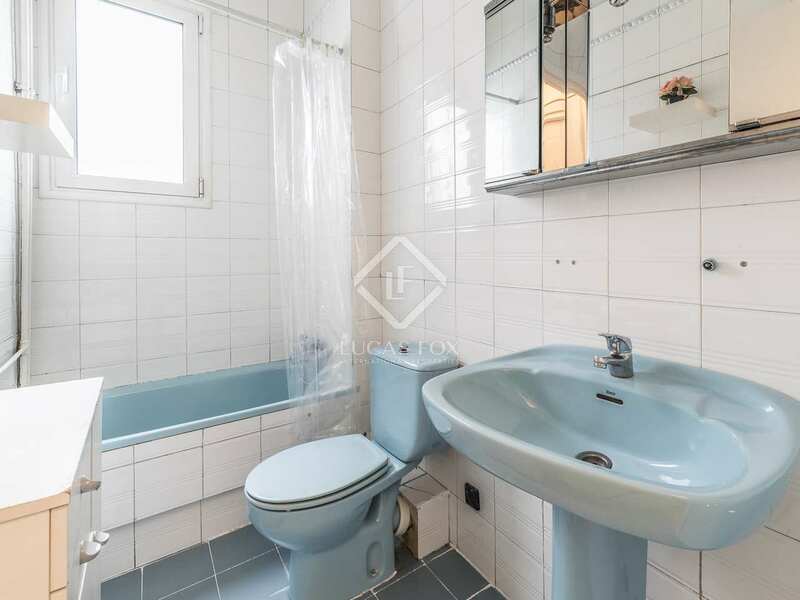 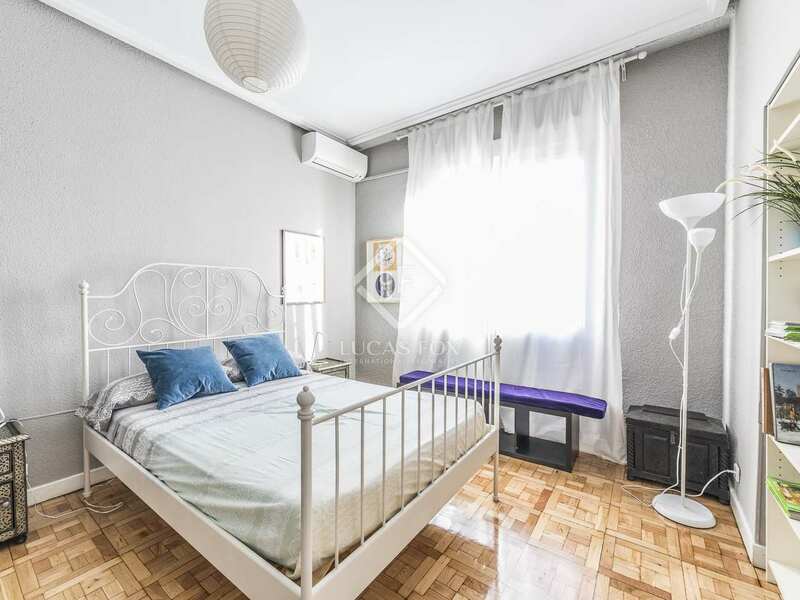 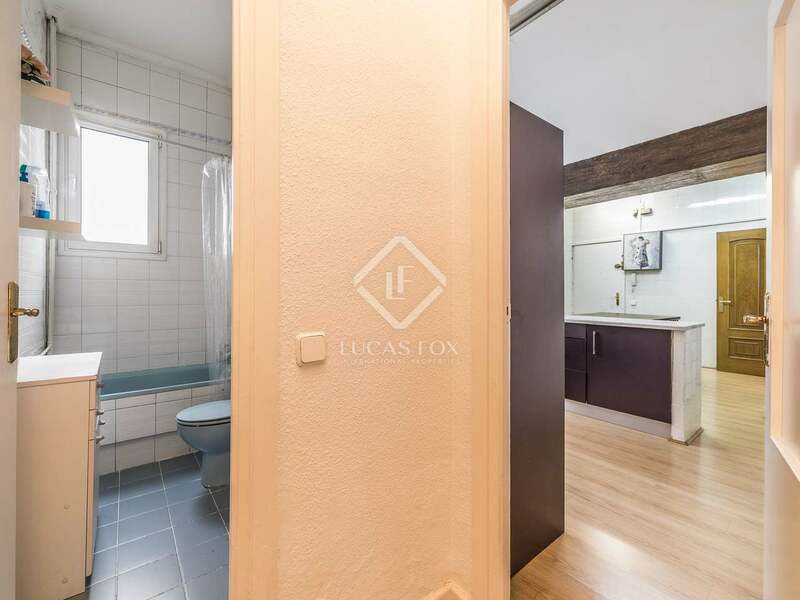 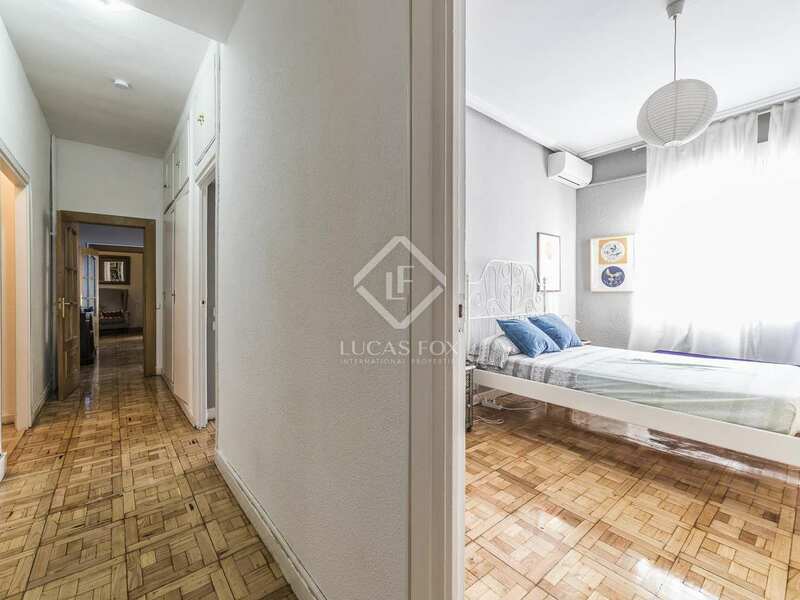 Property located on a main street within a traditional neighborhood of Madrid, a place brimming with history and both historically and culturally emblematic places. 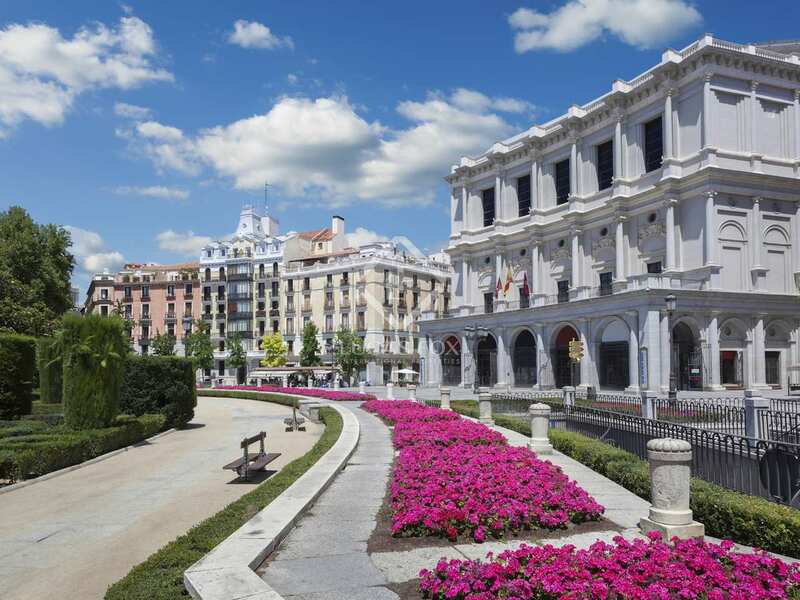 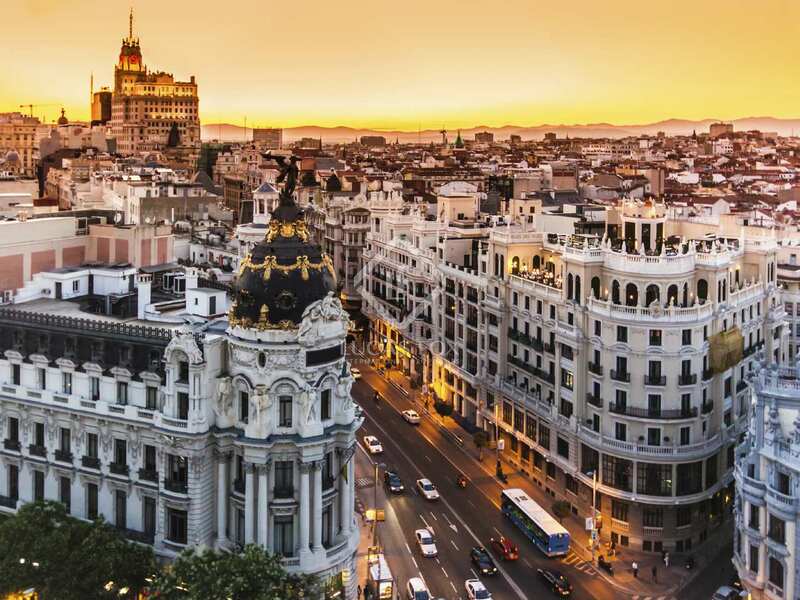 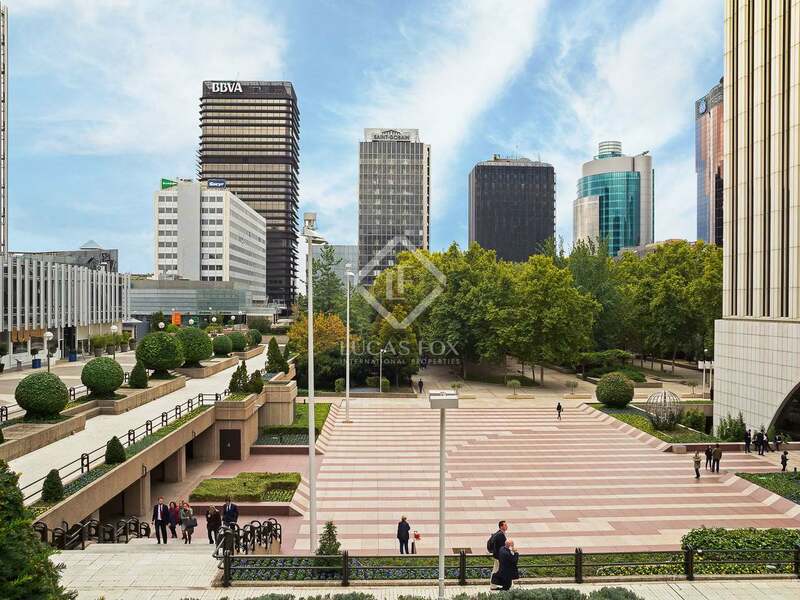 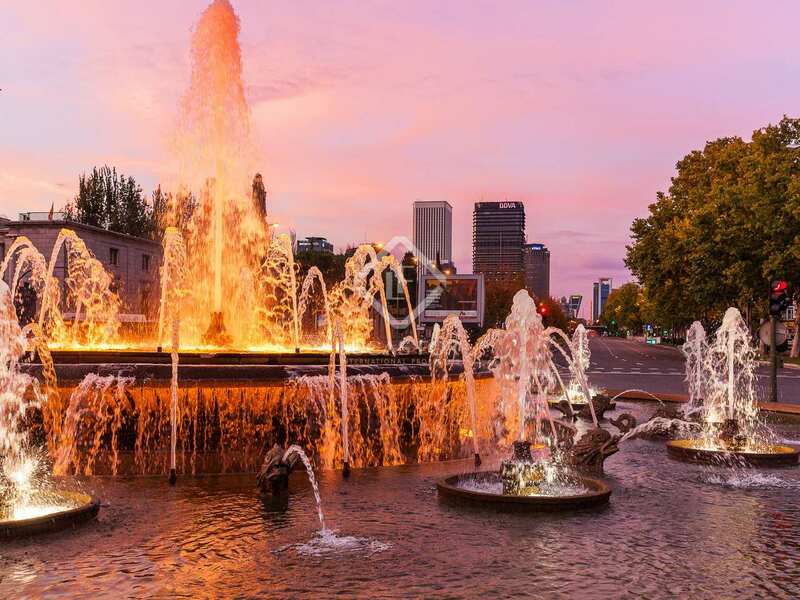 This area also offers numerous restaurants and bars, terraces where you can enjoy the best of Madrid's cuisine under the sun, trendy leisure venues and cultural points of interest. 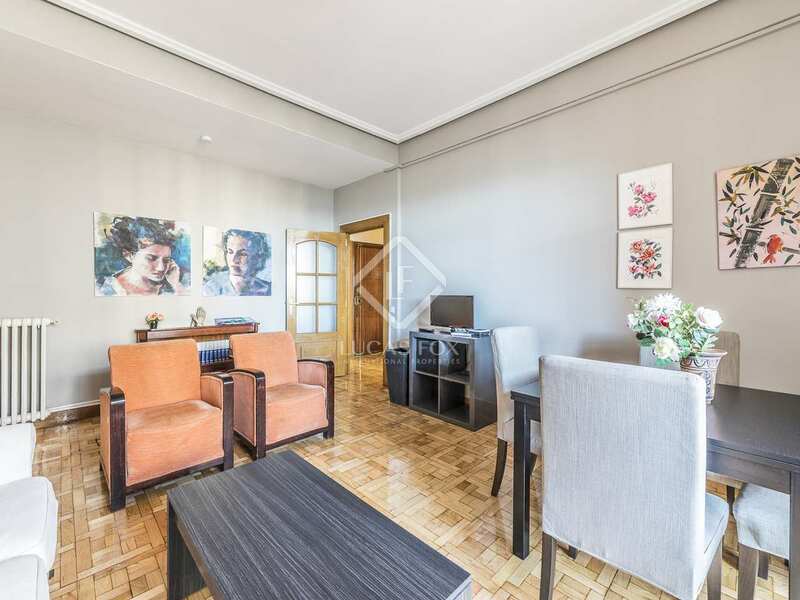 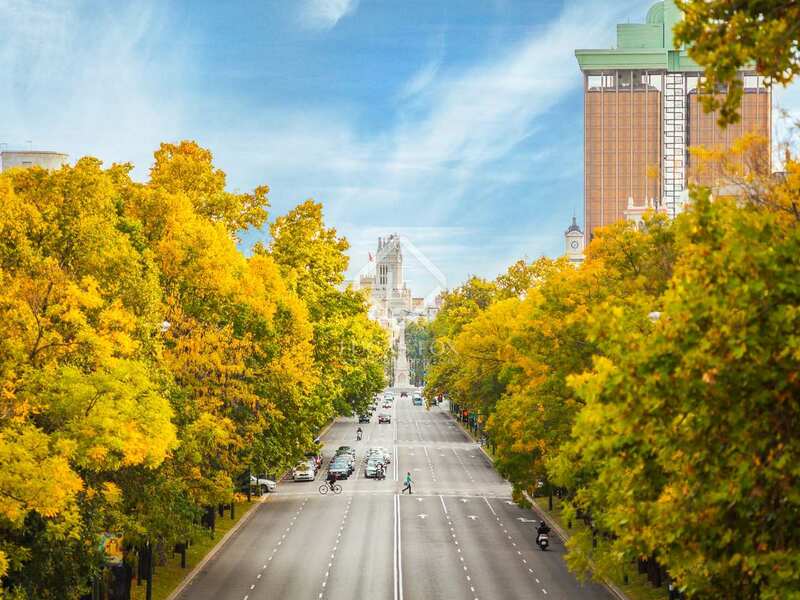 The neighborhood not only boasts unique architecture and exclusive services, but is also a perfect residential area with excellent transport connections, both public and private, and all services necessary for a comfortable life.